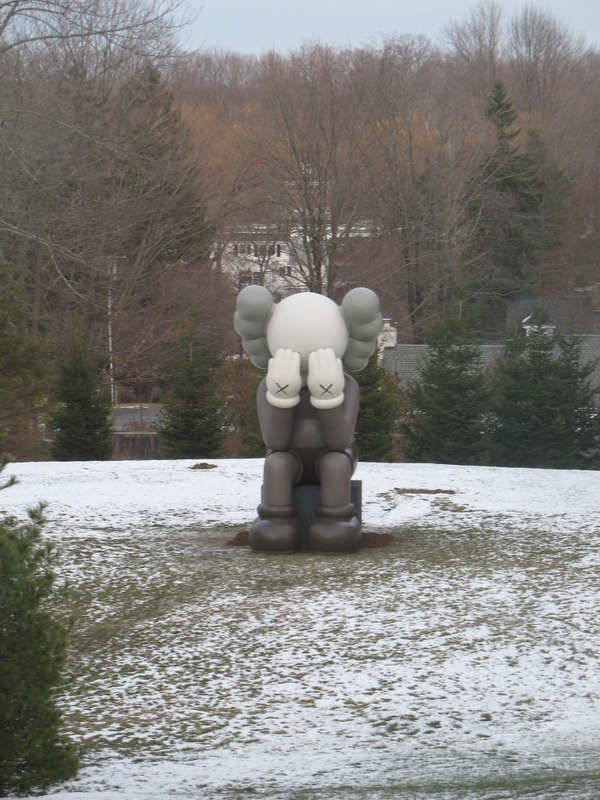 The giant Kaws Companion makes its way to the the snowy lawn of The Aldrich Contemporary Museum, where it joined the rest of the work already on display for the artist’s first museum solo exhibition. If you happen to be in the Northeast for the holiday season, make sure to find your way into the museum. From the looks of it, there will be an official unveiling, along with a book signing, on Sunday, January 30, 2011. Photo courtesy of Jediak for Arrested Motion.